BACKGROUND: Medication decision making is complex, particularly for older patients with multiple conditions for whom benefits may be uncertain and health priorities may be variable. While patient input would seem important in the face of this uncertainty and variability, little is known about older patients’ views of involvement in medication decision making. OBJECTIVE: To explore the views of older adults regarding participation in medication decision making. PARTICIPANTS: Fifty-one persons at least 65 years old who consumed at least one medication were recruited from 3 senior centers and 4 physicians’ offices. APPROACH: One-on-one interviews were conducted to uncover participants’ perceptions of medication-related decision making through semistructured, open-ended questions. Themes were compared according to the constant comparative method of analysis. RESULTS: The predominant theme that emerged was the variability in perceptions concerning whether it was possible or desirable for patients to participate in prescribing decisions. For some participants, involvement was limited to sharing information. 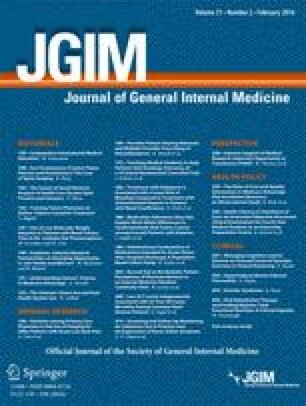 Physician and system factors that were felt to facilitate or impede patient participation included communication skills, the expanding number of medications available, multiple physicians prescribing for the same patient, and a focus on treating numbers. Perceived lack of knowledge, low self-efficacy, and fear were the patient factors mentioned. Both the presence and absence of trust in the prescribing physician were seen as alternatively impeding and enhancing patient participation. Only 1 participant explicitly mentioned patient preference, a cornerstone of shared decision making. CONCLUSIONS: While evolution to greater patient involvement in medication decision making may be possible, and desirable to some older patients, findings suggest that the transition will be challenging. Funding source: This work was supported in part by a grant (P30AG10,469) to Yale University from the National Institute on Aging. Dr. Agostini is the recipient of a Veterans Affairs Health Services Career Development Award and a Merck/American Federation for Aging Research Junior Investigator Award in Geriatric Clinical Pharmacology. Dr. Fried is the recipient of National Institute on Aging Mid-Level Career Development Award.